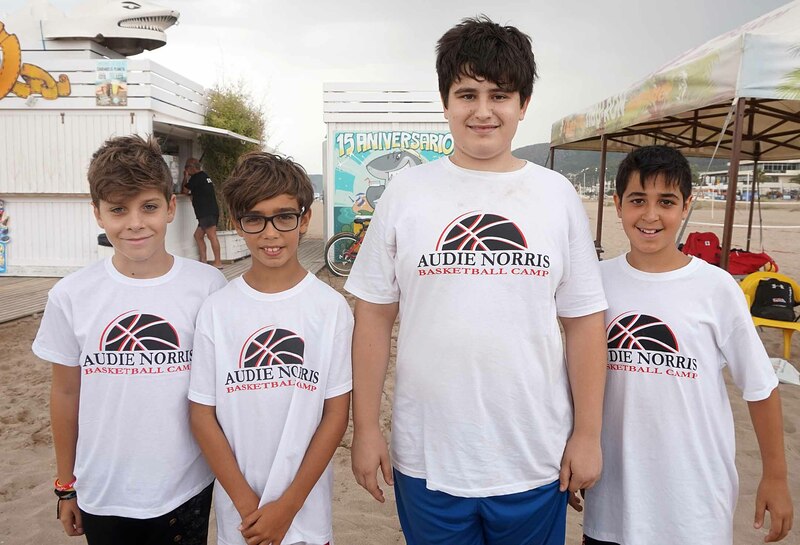 Yesterday, Saturday, July 8, we finished the first week of the Audie Norris Basketball Camp with the extra activity for the campers of the Basket Beach Tournament in Castelldefels, with the Tibu-ron Beach snack bar as sponsor and location of the tournament. 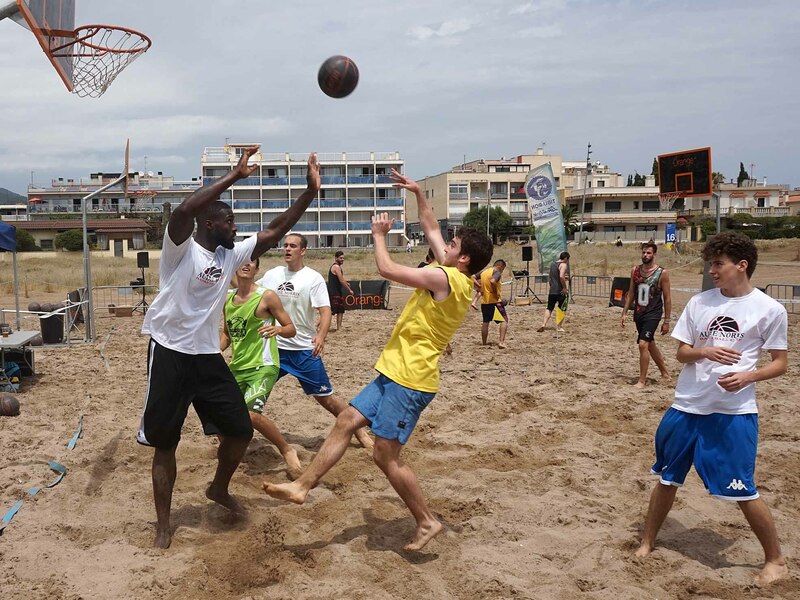 Basketball in the sand, no dribble, complicated and fun at the same time. 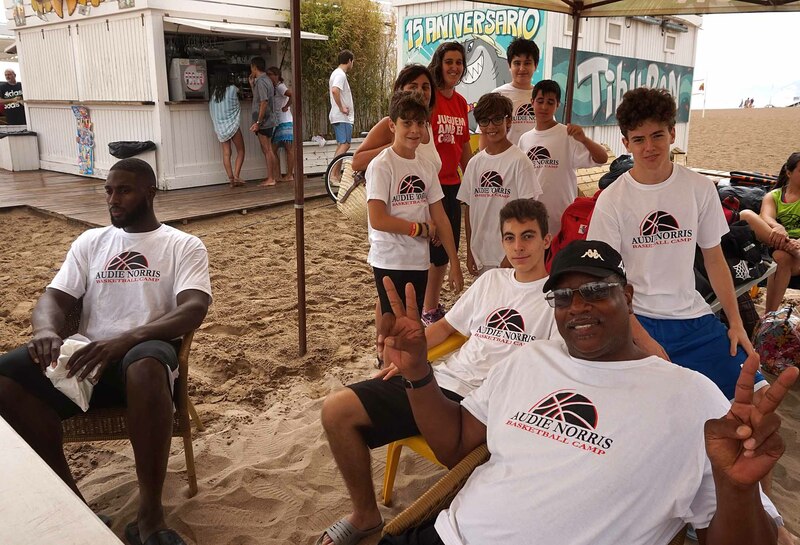 It is the second year that our campers participate in this activity, they have a lot of fun, strengthen their friendship with the other campers and enjoy a day on the wonderful beach of Castelldefels. 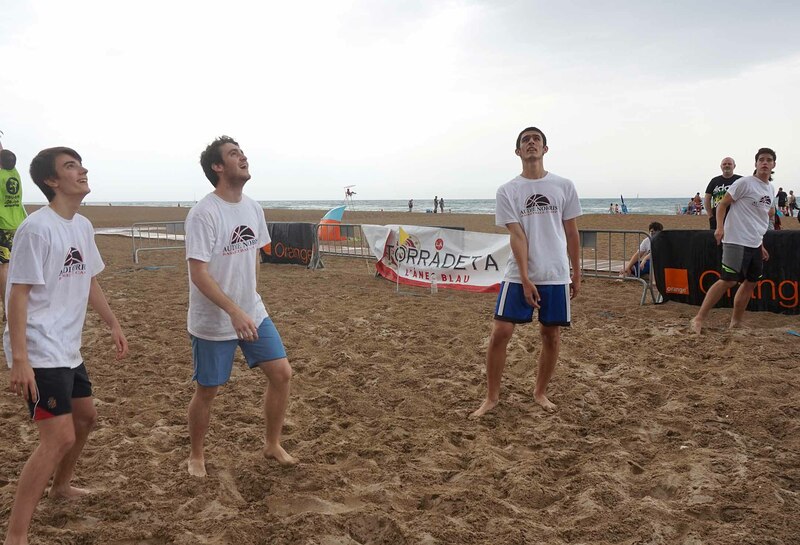 Although the day has been a bit strange, with rain and sun, we were able to carry on with the tournament. 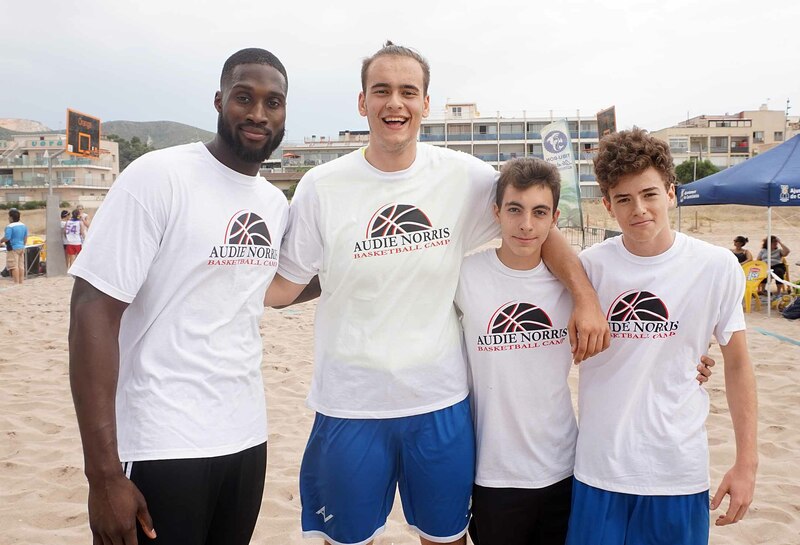 We want to thank Juan Crespo and his staff for always considering us for his events and the support he provides for the Audie Norris Basketball Camp as well, also thanks to the Castelldefels Town Council, Tibu-ron Group, Unilever and the other sponsors for helping to organize this tournament. A big round of applause for them! 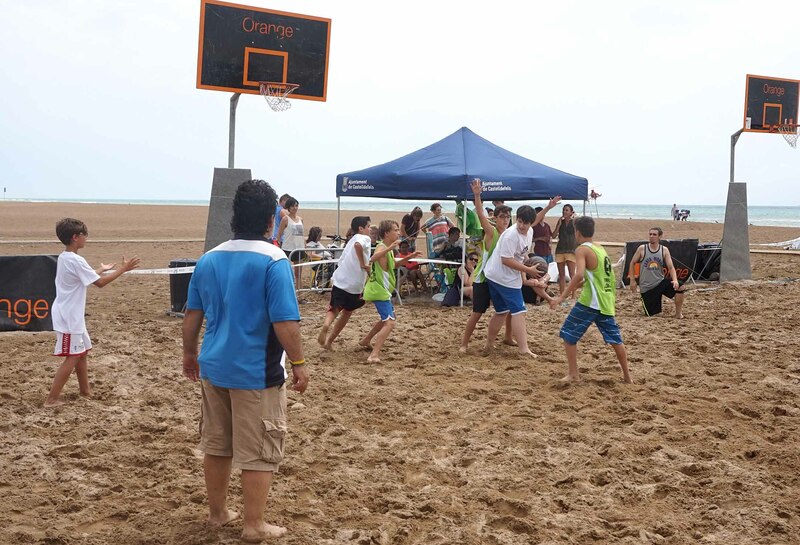 The categories were Senior Male, Senior Female, +14 and U14. 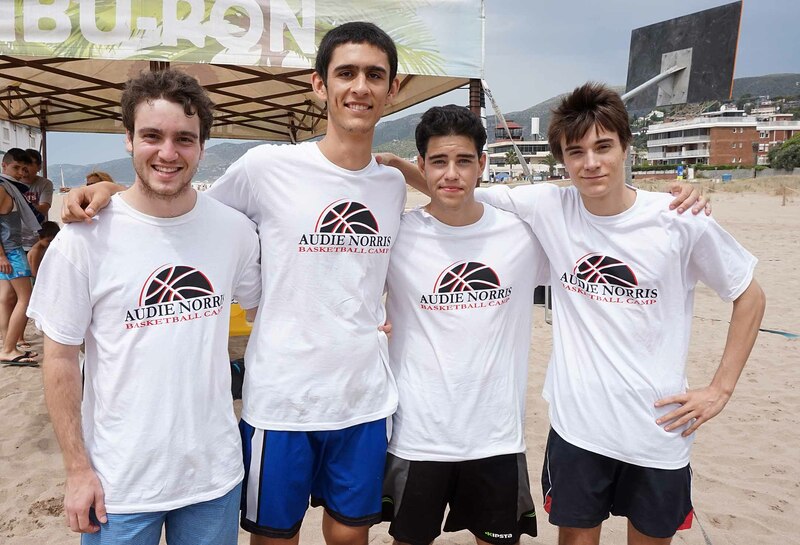 The results were as follows: our U14 team took second place. 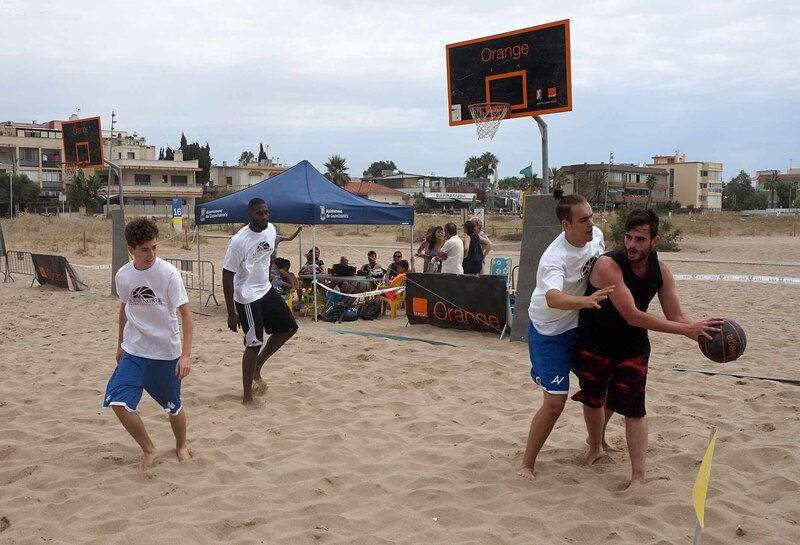 And the Senior team have lost in the final and came in second place. 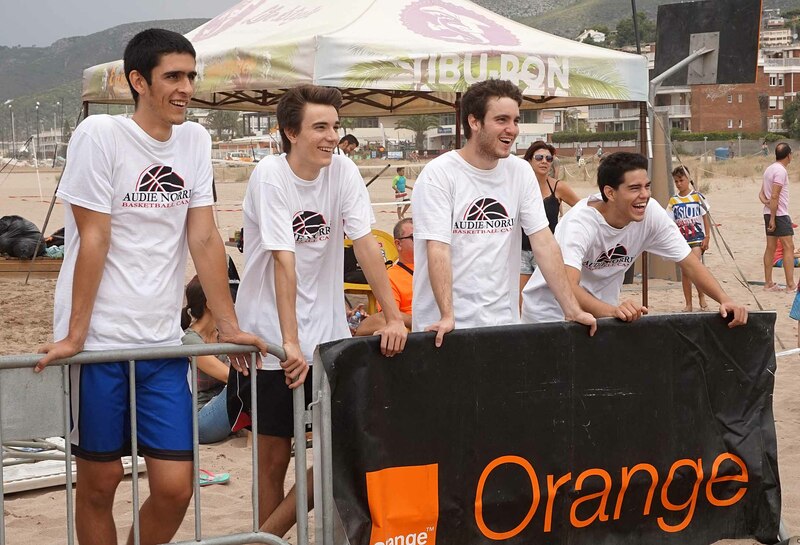 Very happy with the results and with the intensity of the finals, nobody wanted to lose! 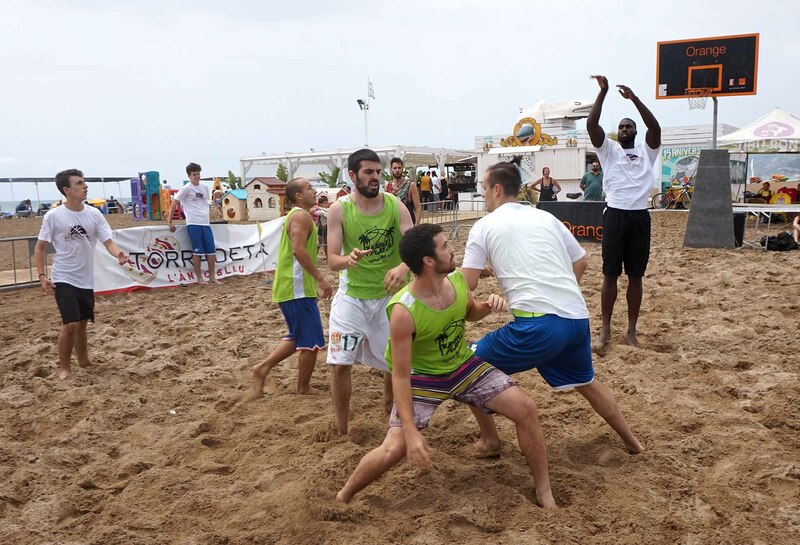 Despite arriving directly from the airport from Miami, David Gabriel aka Megatron, did not want to miss this tournament and has been able to see how different it is to play basketball in the sand, without being able to dribble, he liked it and he thinks it’s a great idea that he’s thinking about doing the same thing back in the States. 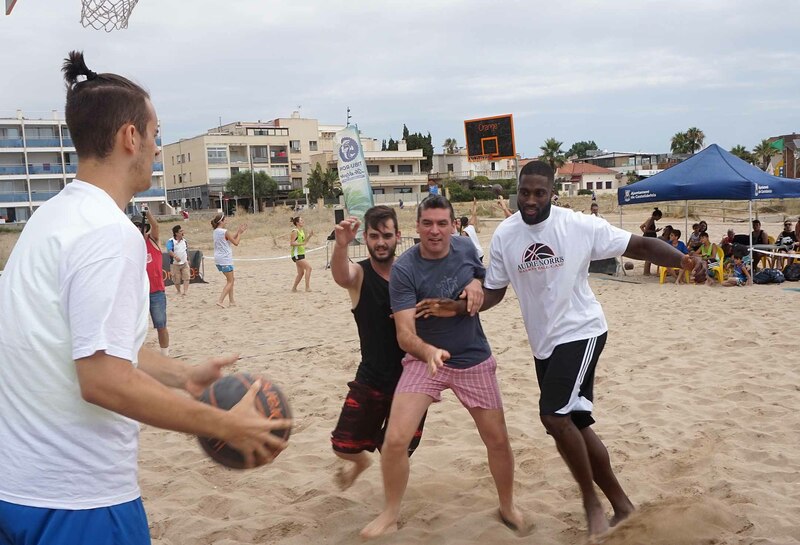 But at the end of the day the most important thing is having fun in the sun. 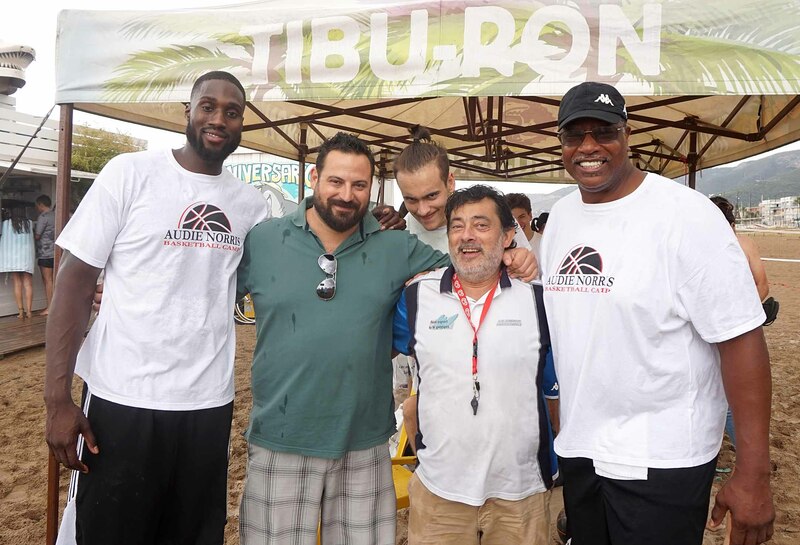 Afterwards we have been enjoying a meal together at the Tibu-ron beach bar. 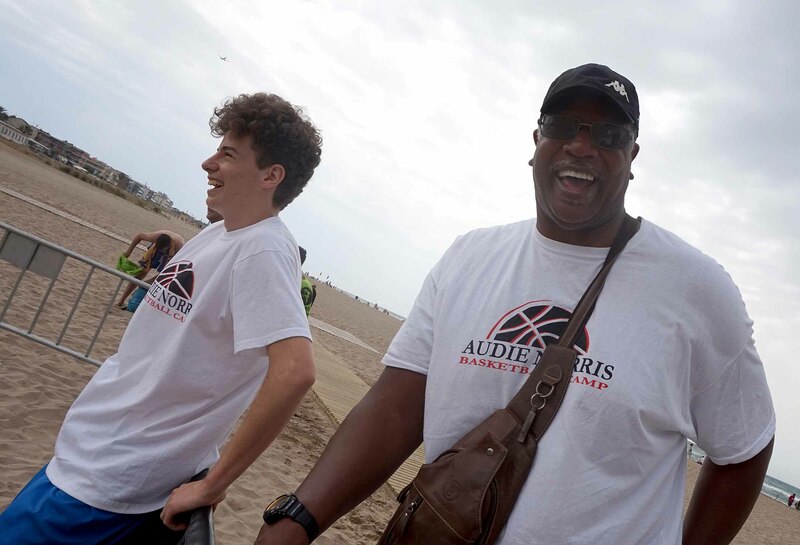 It was a great way to close the 1st week of the Audie Norris Basketball Camp. 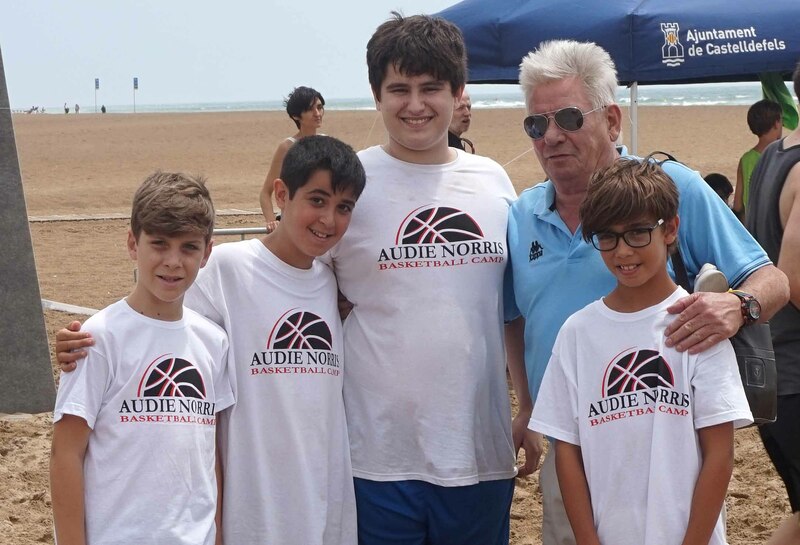 Ready to start next week, on Sunday new campers will arrive at the residence and on Monday we will begin the activities and intensive training at the Gornal gym for the 2nd week of the Audie Norris Basketball Camp.